Tommy Röckit from Irish band Stone Trigger was my guest on the Friday NI Rocks Show in February 2016 (http://www.rockradioni.co.uk/interviews/2515-ni-rocks-interview-with-tommy-rockit-from-stone-trigger.html ). NI ROCKS – Hi Tommy. Welcome back to the NI Rocks Show. It’s been almost a year since you were on the Show. A lot has been going on and there’s a lot happening over the next few weeks. Lets start with the release of the new single “Children Of The Night” which is released on 17th February. It’s been referred to as a new era and new sound. Tell us about it. TOMMY – Thank you Nigel, it’s great to be back. Lots happening here at the moment. We’ve the new single coming out called “Children of the Night” and to an extent I suppose it is a new era for us because it’s the first recording that we’ve released with this current line-up. A lot of the stuff we’ve released in the past had the original members on it and we’ve had quite a few in and out since then. We’ve cemented the final five now at the moment. With new musicians there is always going to be a different sound and it’s going to change your dimensions a little bit. And with Ronnie and Andy coming into the songwriting process we have a lot more modern sound with this song. NI ROCKS – Where was it recorded and who have you worked with? TOMMY – We stayed with the studio that we’d done all our EP’s in so far. Over at Trackmix Studios in Blanchardstown in Dublin. Michael Richards recorded and produced it. Michael has done all of our stuff and we’re happy with him. He knows the way we think. Bringing in new ingredients, like new members, is exciting for him too. I’m really pleased with the end product. NI ROCKS – You’ve also released a lyric video. Where did the idea come for that and who did you work with? TOMMY – Again we used our tried and tested. Paul Heary did the lyric video and he was the guy that shot and directed the “Rattle Your Bones” and “Black Venom” videos for the singles. So we went with Paul again as he is a good friend of ours. We decided to do something a little different. We are planning on making an actual music video for “Children of the Night” but there is so much going on that we’ll get to that later. We thought a lyric video was a little bit more simple to do; plus the lyrics are quite relevant to today’s goings on and the whole Brexit thing and the Donald Trump thing. There is some reference to those kinda things even though that song was written before Brexit and Donald Trump. There are references there. NI ROCKS – You’ve also announced the release of a new album called “G.H.O.S.T.” on 10th March. Tell us about that? TOMMY – Yeah, at long last we have an album to announce which is really exciting. Basically the situation that we’re in is that we’re going on tour and wanted to release an album. So we put some of the previously released stuff on it, but we have a number of brand new tracks as well. It’s an album that has something from every era as well as lots of new stuff. So if anyone has all the old stuff, this is brand new, but in a sense is also a greatest hits. That’s where the name “G.H.O.S.T.” came from – ‘Greatest Hits of Stone Trigger’. NI ROCKS – Did you re-record the old stuff? TOMMY – We put a slightly different mix on it. There’s an alternative version of one of the songs. There wasn’t a lot to be done with them. We concentrated more on what we were going to do with the new stuff. NI ROCKS – How many new tracks are there? TOMMY – There are four new songs, so it’s basically a brand new EP with the two old EPs on there, but a little bit different, a little bit spiced up. NI ROCKS – We’ll play the track “Children of the Night” now and comeback for a few more questions. NI ROCKS - Your other big news story is of course your tour with L.A. Guns in March. You’d toured with Tracey Guns and Gunzo in 2015. Did that lead directly to this support slot? TOMMY – Yeah. First of all, it’s an absolute dream for us. Did it lead directly from the tour with Gunzo? More indirectly I would say. Obviously it had some impact on getting this slot. We got on really well with Tracii and with Shane as well – the drummer. We got on really well and kept in contact with them. Our whole band kept in contact with all the guys. So I suppose we were an obvious choice because of the style of music we play and the fact that the guys got on so well with us. So an obvious choice I suppose, but we still had to do a lot of work to get it. NI ROCKS – You’ve just been added to the Hard Rock Hell line-up next month too as part of the tour. That’s a really great line-up to be involved in. TOMMY – Yeah, that’s fantastic. L.A. Guns were playing Hard Rock Hell and we hadn’t been confirmed. We went over to Sheffield for the Highway to Hell final and we won the slot at Hard Rock Hell. What we didn’t realise was that it was to be one of the days that we were already playing with Guns, so we had to decline it unfortunately. So we were playing a waiting game to see if we’d get announced for it and thankfully everything aligned and went well for us and we got confirmed. So I’m going to be sharing a bill with half of my record collection! It’s pretty unbelievable – Lita Ford, Slaughter, Mike Tramp. It’s an absolute dream line-up. And Michael Monroe of course. NI ROCKS – What day do you actually play on? TOMMY – We play on the Saturday at 6 o’clock. I think we actually coincide with L.A. Guns performing so we’ll see how that works out (laughs). In a way, that’s not too bad as we’ll see plenty of L.A. Guns for the next few weeks after that. NI ROCKS – The tour goes right through to the end of March doesn’t it? TOMMY – Yeah, the 10th of March all the way through to the 25th. It starts off in Belfast at The Limelight, then Hard Rock Hell and all the way through England, up to Scotland then back to Wales. It’s really exciting. NI ROCKS – Since we last spoke, you’ve also been out of tour with The Burning Crows. How did that go? TOMMY – It was really cool. We had five dates with them. We went up to Ahoghill to the Diamond Rock Club; our first time playing there and that was really cool. A very well run venue and really enjoyed playing there. Then we went down to Dublin to Fibber Magees for a hometown show, then over to The Burning Crows hometown the following week in Norwich. That was practically sold out – about 90 or 95%. Then we went a played a gig in Lincoln with them, which was a much smaller venue and a lot more intimate. We finished off in Barfly in London to a sold out crowd – that was absolutely phenomenal; typical sweaty, energetic hard rock show and all the bands playing that night were fantastic. NI ROCKS – There’s obviously a lot happening between now and the end of March. Would you say it’s the highest point for the band so far? TOMMY – Thus far I would say absolutely. We’re releasing an album and going on tour with a band of the stature of L.A. Guns which would on most bands in our position list of great things to happen. Yeah, so thus far it is the greatest thing that has happened, but we plan on outdoing it, we don’t want to stop there. You never want to settle for what you have, you always want more, especially when you’re an ambitious band like we are. NI ROCKS – And what is in the pipeline beyond March? TOMMY – Not a lot that we can confirm at the moment, but I can tell you we’re talking to several festivals at the moment and hoping to get back over to the UK again. It’s a great market over there. The market down here is decent, but if you’re playing the genre we’re playing, ideally you want to be getting back to Belfast as much as you can and to be heading over to the UK and hit those markets. That is what we’re working on. Obviously there is going to be new material written as well, but we won’t jump the gun; we’ve just released an album so we want to let that settle and enjoy that before maybe starting work on something new. NI ROCKS – You’re up in Belfast with L.A. Guns in March. Any plans for a return after that? TOMMY – Like I said, hopefully. The Limelight is the first date of the tour which is pretty exciting. We’ve a tour bus sorted and the whole shebang. It’s a no-holds barred tour – that’s what we should have called it. We play The Limelight, which is a venue we haven’t played. We’ve worked our way up through the venues – we’ve played with Faster Pussycat, the Pat McManus Band and Gunzo in Voodoo, then we played Blazefest in The Belfast Empire, which is a really cool venue. Now The Limelight, so there is no doubt we’ll get back up to Belfast; hopefully before the end of 2017. NI ROCKS – Thanks for having a quick chat with us. Best of luck with the single, album and tour. 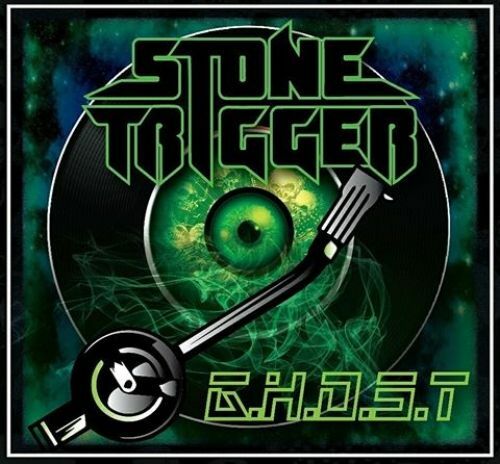 We’ll finish with another Stone Trigger track from the new album. Do you want to pick one and tell us something about it? TOMMY – We’ll go with “Rattle Your Bones”, from when it all started. It’s one of the oldest songs on it, but Steel Panther shared it and reviewed it and that got the ball rolling and got us noticed. That’s kinda the song that started everything.